With spring officially arrived (finally! ), we're feeling the push to start putting our favorite landscape plants in the ground. This year, our Main Line landscape design team has a big list ready to go, and we've decided to fill you in on which ones they're excited to use the most. This elegant deciduous shrub, native to Japan and China, grows about 6-10 feet tall and 10-15 feet wide in optimal conditions. It's lacey white flowers resemble those of the hydrangea--another big hit around here. Otherwise known as the Korean or Japanese Dogwood, the Kousa is another East Asia native. Flowering later in spring than its North American brethren and more resistant to disease, the Kousa works as a great alternative to the standard variety. It's edible red fruits are a great treat too. Photo courtesy of Monrovia plant catalog. This fragrant perennial, native to the warmer regions of South America, is a member of the verbena family with a pretty purple flower and a long, green stem. It works perfectly in conjunction with other ornamental plants, and is a very effective attractant for butterflies and bees. Baptisia, commonly referred to as Blue False Indigo, is a beautiful native perennial once used as a dye and medicine by American Indians. As a drought-tolerant plant perfectly suited for this area, it makes a great addition to naturalized gardens or woodland borders. A fragrant perennial in the mint family, known for its use in aromatic herbal teas and as a powerful butterfly and bee attractant, Calamint works beautifully in a variety of situations regionally and can be a great conversation piece with the neighbors. A deciduous, small to medium-sized tree or large shrub with an attractive bark and beautiful green foliage that turns yellow, orange, and red in the fall. A popular tree for lining streets and filling parks, this witch hazel family member brings year-round eye candy to any landscape. How about an endangered, 50 million-year-old species for the list? The coniferous metasequoia is part of the redwood family, though not quite as big as its cousins over in California. It grows up to 100 feet tall in optimal conditions and produces beautiful fern-like foliage that turns red in autumn. A truly great pick for anyone looking to add a slice of history to their landscape. The Dwarf Hinoki, 'Nana Gracilis' in particular, is a useful ornamental evergreen which tops out around 5 feet tall. Its delicate foliage provides great visual appeal year-round and there's very little maintenance. Plus, what a great name, right? A wetland plant featuring stark red stems famous in wintertime for contrasting with the snow, the Red Twig Dogwood is immensely valuable as an ornamental. With green leaves and white flowers in spring, followed by small white fruit that birds love, it's a plant with year-round appeal. Used for centuries as a medicinal plant by Native Americans, Witch Hazel is a deciduous shrub which grows to around 10-25 feet. Different Witch Hazel hybrids offer different colors throughout the year with the 'Jelena' hybrids vivid orange flowers being particularly prized. The ultimate prairie grass is also the perfect plant for perennial gardens or gardens which suffer from an increased risk of erosion. Found across the prairie states of the U.S. and Canada, the grass grows in shades of green and light grey to a maximum height of 18 inches. This type of grass is also highly drought resistant. Got some altitude? Then check out the Columbine and its upwards of 70 hardy, high-elevation loving species including the hardy and popular Common or European Columbine. They may withstand the cold well, but look quite delicate, with a drooping flower which resembles a bell and comes in a wide range of colors. First discovered by Spanish Conquistadors in the 1500s, Crimson Beebalm is one of 50 species within the Monarda genus, and like all Monarda it has colorful flowers. When used in beds, Monarda's explosive color and fragrance make it irresistible to pollinators like bees and hummingbirds--ensuring a healthy and attractive garden. Another prairie favorite, Anemone can set any garden alight with color. Resembling poppies, they are best grouped together and in beds. Anemone are popular flowering plants which do well in Pennsylvania's temperate climate. 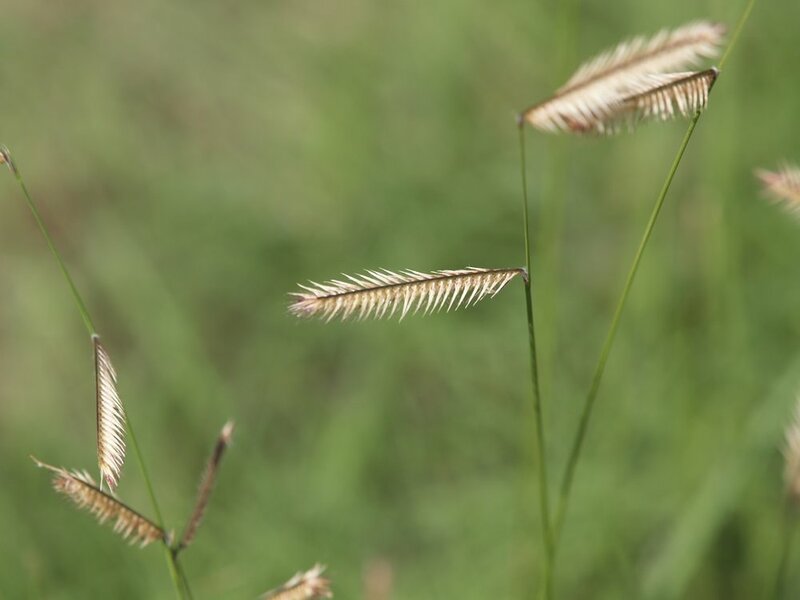 Ornamental grasses can be the base of any landscaping project and the Southern European grass commonly known as Snow-White Wood-Rush is no different. It provides excellent coverage and wonderful white filaments, but must be well contained so not to allow it to become an invasive species.